Air pollution from the gas that is leaked during the process that drills and brings gas to market and the potent toxic chemicals that are used in the fracking process create air pollution that increases global warming and is a danger to health. 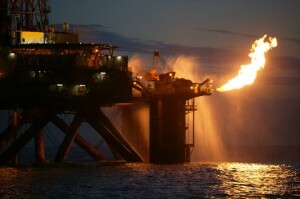 A study by researchers with the National Oceanic and Atmospheric Administration (NOAA) in late 2012 reconfirmed earlier findings of high rates of methane leakage from natural gas fields that utterly vitiate any climate benefit of natural gas, even when used as an alternative to coal. Previous findings showed leakage of 4% methane leakage over a Colorado gas field and the new findings have more than doubled that to 9%. It has been clear for some time that high levels of ozone have been shown to have a direct correlation to an increase in asthma, and in some areas of Texas where they have been drilling for years, asthma rates in children have jumped from 7% to 25%, however, a study released on June 25, 2012 found that ozone pollution appears to also cause potentially dangerous changes in the heart, leading to heart attacks. Air pollutants are released at all phases of gas drilling operations. Smog is primarily concentrated in areas closest to gas production activity, however, because it travels via air currants, it can affect communities within a radius of many miles. Diesel exhaust from the huge quantity of vehicles travelling to and from drilling sites contains carbon monoxide, nitrous oxide, sulfur dioxide. Truck and heavy vehicle traffic also stirs up dust, which increases smog. Compressor stations have been documented to cause many environmental problems including air, water and noise pollution, plus soil contamination. The residents of Dish, TX started to have health problems after 11 compressor stations were built. When then Mayor Calvin Tillman couldn’t get the Texas authorities to investigate why people in his town were getting sick, he hired a private environmental consultant to help him figure out what was going on. 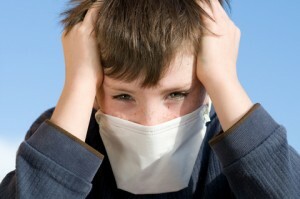 The air study showed extremely high levels of both carcinogens and neurotoxins. Ultimately the top toxicologist at the Texas Commission on Environmental Quality expressed concern that the presence of benzene, a potentially cancer-causing toxin detected near the compressors, could pose long-term health risks. In addition, Dish residents experienced ruptured ear drums, which came from the constant low frequency roar of the compressors. Ultimately Mayor Tillman decided to leave his job and move his family away because he said, “I just couldn’t risk the health of my children to stay here. I guess you could say that was the choice I felt I had to make. That’s not a very difficult choice. My family is the important thing to me.” To hear an interview done in 2009 with Mayor Tillman by John Burnett of NPR, click here. At every stage of gas operations there is the possibility of unintentional gas leaks, which are called fugitive emissions. Fugitive emissions result from small cracks or breaks in seals, tubing, values or pipelines, or from improperly closed or tightened lids or caps on equipment or tanks . Fugitive emissions release the methane that is the primary component of natural gas plus other volatile organic compounds (VOCs), and numerous additional contaminants that are in the gas – see below. These emissions are not visible to the human eye and without an infrared camera no one would suspect that plumes of toxins were escaping into the atmosphere. What Exactly is Being Released Into the Atmosphere? BTEX compounds, which stands for benzene, toluene, ethylbenzene, and xylene. They are volatile organic compounds (VOCs) – (organic chemical compounds that are highly evaporative and can produce noxious fumes). Benzene is a known carcinogen, and has also been shown to cause blood disorders. Both benzene and toluene can affect the reproductive and central nervous systems. Ethylbenzene and xylene can have respiratory and neurological effects. Carbon monoxide (CO), which is poisonous if inhaled because it inhibits the blood’s ability to carry oxygen, can cause dizziness, unconsciousness and even death. Hydrogen sulfide (H2S), which is lethal if inhaled at high concentrations, has a characteristic rotten egg odor at low concentrations. Nitrogen Oxides (NOx), which are formed during flaring and when fuel is burned to power machinery for heavy equipment and at compressor stations, forms smog when it reacts with volatile organize compounds. Health impacts include respiratory problems, heart conditions and lung damage. Methane – natural gas itself gets released during venting operations or leaks. Natural gas is primarily made up of methane, which can cause oxygen deprivation and can act as an aspphyxiant at high concentrations. In addition, methane is flammable and highly explosive. Natural gas frequently contains other hydrocarbons such as ethane, propane, butane, and pentanes as well as benzene, toluene, ethylbenzene, xylenes and hexanes, hydrogen sulfide (H2S), and carbon dioxide.